We have music at every worship service at St. John’s. 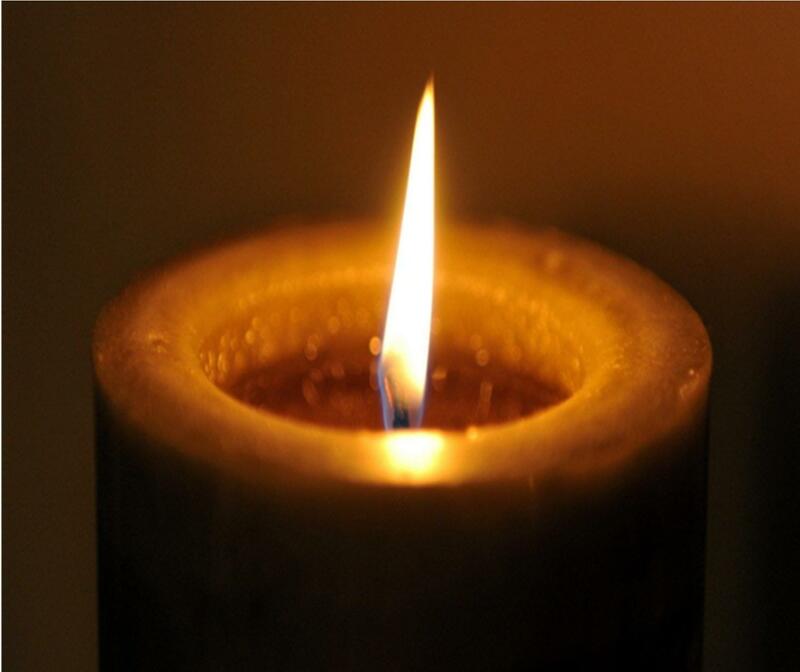 The 8:00 a.m. service, while spoken, ends with an organ or piano postlude. 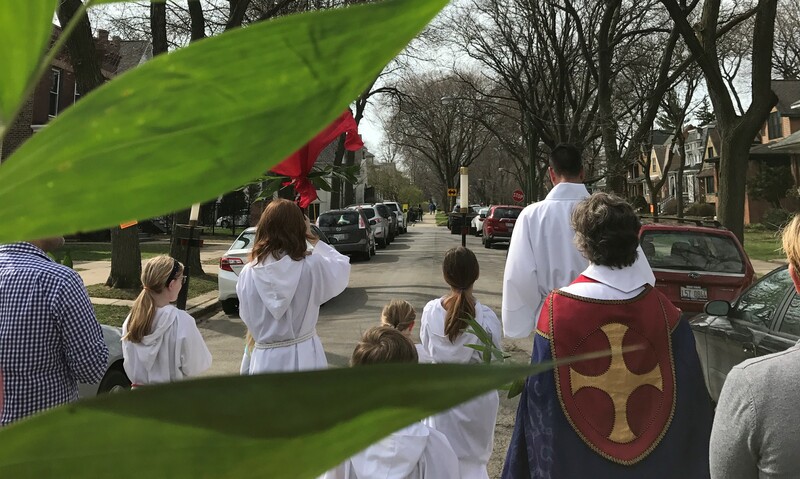 The 9:15 congregation sings hymns from a variety of sources and accompanied by piano, organ and other instruments on occasion. The Choir, under the direction of Dee Murphy, leads our music at the 11:00 a.m. worship service. They rehearse every Thursday at 7;30 p.m. Please contact Dee Murphy for more information on joining the choir. 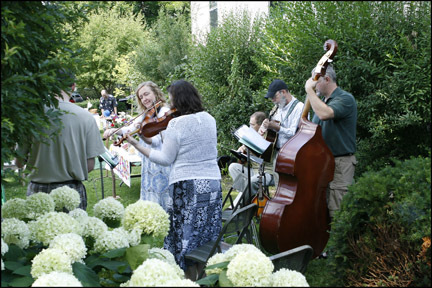 In the summers we worship outside in our garden once a month, with gospel, folk, rock, traditional live music. We love all kinds of music! To make sure everybody sings in church we have a tradition of worship services that feature alternative music, played by live musicians. Often once a year on a Saturday night, we continue the party with food and dancing in the Parish Hall. Upcoming events are posted on the front page of our website. The Rt. Rev. 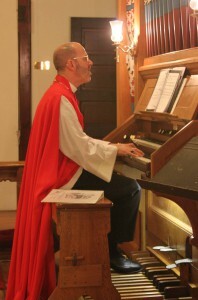 Jeffrey D. Lee plays a hymn after blessing the instrument. 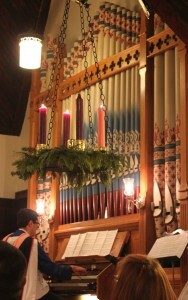 The organ came to us from Good Shepherd Lutheran Church. What is a Tracker Organ? 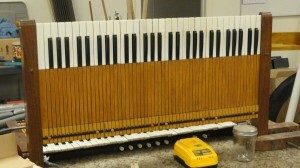 The assembly of keyboards, pedals, and stops is called the “console” or “keydesk.” Long, thin pieces of wood, called “trackers,” connect the keys and pedals to valves under the pipes. When a key pressed, it moves a tracker to open a valve under the pipe, allowing air to flow into the pipe and produce a tone. 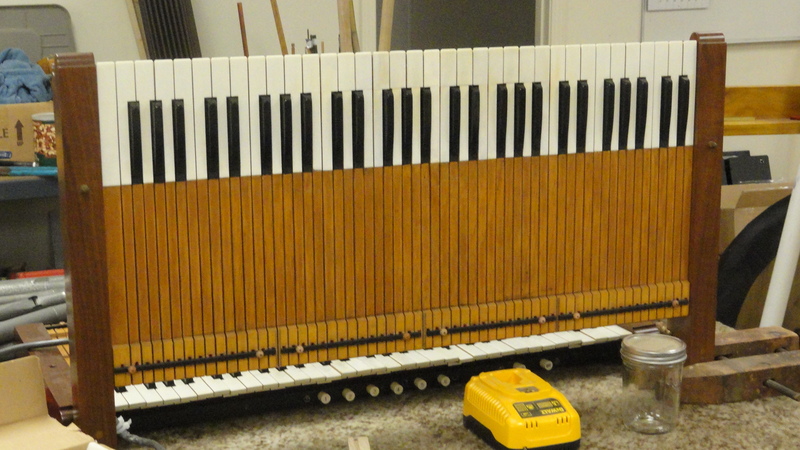 The value of a tracker action organ (as opposed to various types of electric action organs) is the high degree of flexibility and responsiveness of the keyboard, and the clear articulation of the pipes speech. 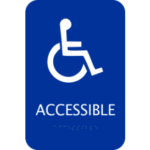 Tracker action exhibits simplicity of design, superior longevity, and ease of maintenance. The organ is known to have existed in crude form in ancient times. Organs of the Middle Ages has several ranks of pipes which were all “diapasons,” that is, pipes whose timbre is characteristic of the organ alone. Ranks of pipes with timbres imitative of other instruments such as flutes and reed instruments were added in the late 15th and early 16th centuries. In the 19th century, stops imitating various orchestral tones became popular. Due in part to the influence of Albert Schweitzer (1875-1965) and the “Orgelbewegung” (an organ reform movement begun in the 1920s), there has been a revived interest in tracker organs and the historic principles used in their construction. This organ was built by the Lancashire-Marshall Organ Company of Moline, Illinois in 1891 as their Opus 52. 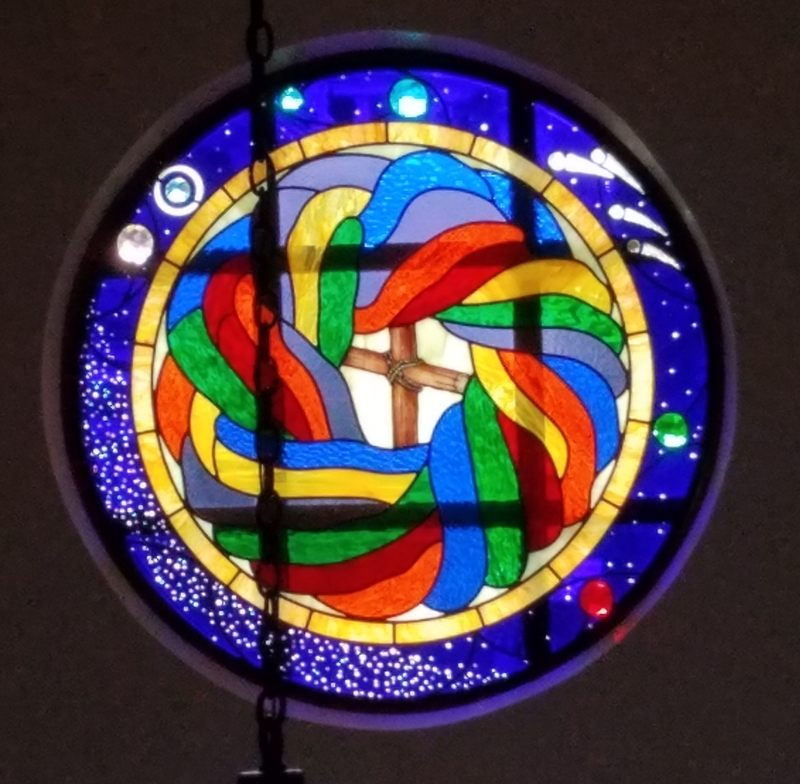 It was installed in Church of the Redeemer, Episcopal in Superior, Wisconsin, where it remained until 1972 when the church was closed and the building sold. The organ was disassembled and removed to storage in Duluth, Minnesota by Mr. Arnold Sunnarborg, and later offered for sale through the Organ Clearing House, Harrisville, New Hampshire. Lutheran Church of the Good Shepherd purchased the organ in 1987 and contracted with the Bradford Organ Company of Evanston, Illinois to restore it with additions. That work was completed in early 1988. 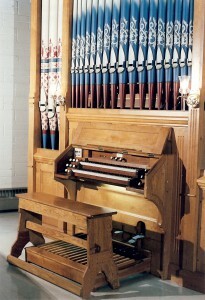 The instrument was originally installed at the right side of Redeemer’s chancel, with a façade of “dummy” (non-speaking) decorative pipes facing into the chancel, which were not saved. The only casework in the organ was in the front façade facing the nave. In re-installing the organ at Good Shepherd, the instrument thus required case panels for the two sides, which Branford built using casework from the 1919 Wangerin organ at Holy Name R.C. Cathedral, Chicago, which was dismantled and broken up for parts in 1987. Because of the organ’s original installation, other parts of the case and bench also had to be fitted with new matching wood for its present location. The Victorian-style case features a façade of three flats of speaking pipes from the Great 8’ Open Diapason, arranged 3-17-3 in symmetrical fashion, and separated by gable-topped columns. Those pipes are supported by an external piperack characterized by cut-out quatrefoils, and twin lamps are on the columns nearest the keydesk. The new electric lamps replace long-gone originals which were undoubtedly gas operated. 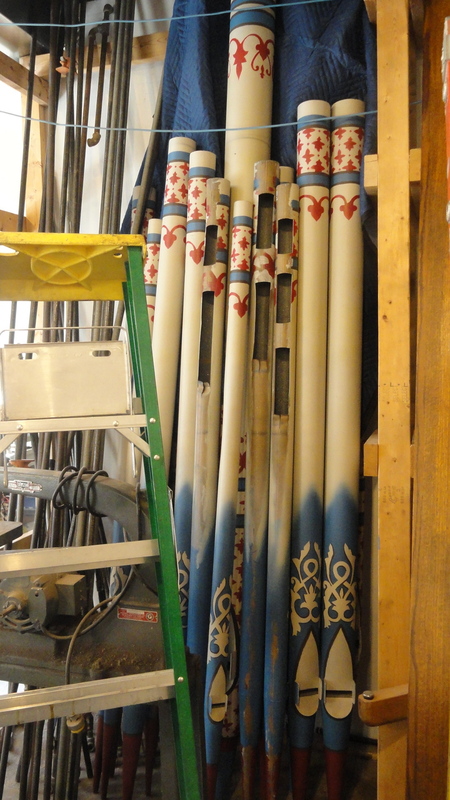 The façade pipes have had their original stenciling pattern retained and restored by the local firm of Made in Chicago, using red, blue and white colors matching Good Shepherd’s stained glass windows. The original stenciling color scheme was so greatly faded and further obscured by a later gilding that it was decided not to attempt an authentic reproduction of the original colors. 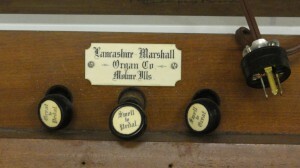 While the two manual divisions use purely tracker action, the pedal division was constructed at the Lancashire-Marshall shop with tubular-pneumatic action, typical of the firm at that time. However, the organ installers in Superior changed the pedal action to tracker because of problems with the installation that are now not clear. The Bradford firm restored the pedal mechanism to its original tubular action. 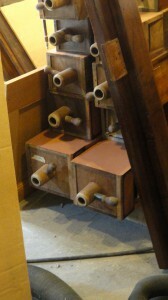 The wood pedals pipes, interestingly, were also stenciled, and may be seen at the rear of the case. This stenciling pattern and color scheme was authentically restored. The tonal character of the organ reflects the English roots of the firm’s founders, although it also integrates details of American organbuilding style as practiced in the last half of the 19th century. The instrument nonetheless is quite suitable for present-day service-playing requirements and has full musical integrity. 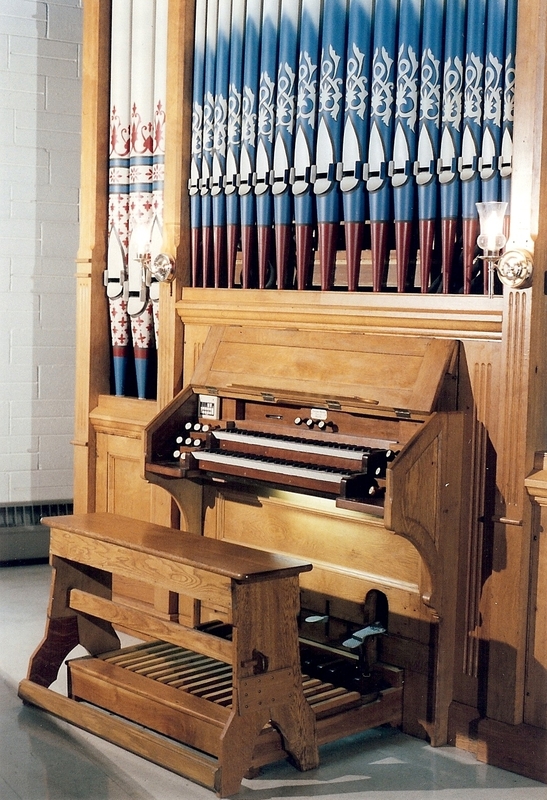 The original stoplist, pipework, and voicing have been retained in the restoration with the exception of two additions that increase the organ’s flexibility. A two-rank Mixture has been added to the Great and a 2’ Piccolo has been added to the Swell. The Mixture displaces an 8’ Dulciana, which has been stored. The Piccolo, so termed because it is a bright flute, is of tapered construction and is mounted on a new ventil chest within the swellbox, rather than displacing any Swell stop. The mixture and piccolo pipes were made by A.R. Schopp’s Sons, Inc., of Alliance, Ohio. 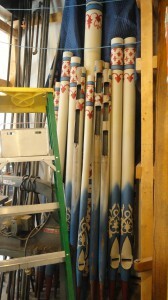 The oboe rank was missing and replaced with pipes from 1919 Wangerin at Holy Name. This acquisition coincidentally has an indirect connection with Lancashire-Marshall; the oboe is stamped “RJB,” clearly indicating Robert J. Bennett. Bennett joined Lancashire-Marshall in 1902 after working several years in Chicago at Lyon & Healy’s pipe organ department, whereupon the Moline form was styled Marshall-Bennett occasionally furnished pipework to other firms. The oboe was retongued and regulated to sound properly on the lower wind pressure (3”) of this organ by Jack Steinkamp of Brooklyn, New York. The organ has several mechanical accessories. Three couplers which allow the different divisions of the organ to be “coupled” to play together at the same time are controlled by drawknobs located above the Swell manual. The pedal check locks the pedal keys so that they will not operate the action if they are stepped on. Two unlabeled combination pedals are provided, both acting on the Great stops. The forte draws all of the stops for full registrations, while the piano engages only the Melodia, a soft stop. (Originally it also drew on the now-removed Dulciana, but that portion of the mechanism was disengaged when the Mixture was installed.) A balanced swell pedal operated the shutters of the Swell enclosure. The Bellows Signal originally “flagged” a person at the back of the organ to begin pumping the wind so that the organ could be played. Today, however, the organ is winded by an electric blower with the Bellows Signal knob serving as its on-off switch. The original pumping mechanism and feeders have been long gone. A slot at the left of the kneepanel undoubtedly housed a hitchdown pedal to engage a water motor that would have been added later to eliminate the need for handpumping the organ. There is a wind indicator slot above the Swell manual to show how much wind is available in the reservoir. The organ was built in late 1891, as evidenced by December dates marked on interior parts. Some employees’ signatures also appear. The chests are marked “Moline Pipe Organ Company,” the name of the firm before the title Lancashire-Marshall was adopted that year. The stylized letters “MPOCo” referring to the aforementioned Moline are also cast into the Swell pedal. This information was prepared by Michael D. Friesen, an organ historian, organ consultant, and member of the Organ Historical Society (Chicago-Midwest Chapter). 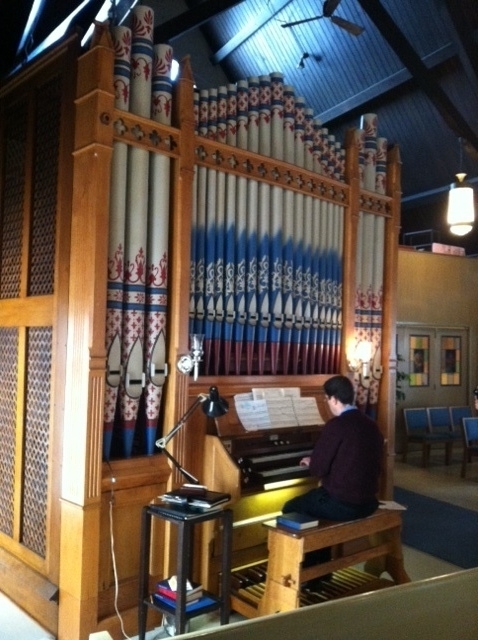 Additional information was kindly provided by the Bradford Organ Company. 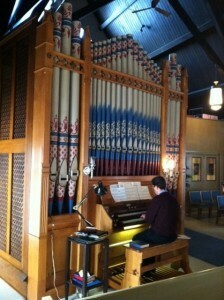 I am the new organist at Christ Church in Des Plaines. The church has a new organ that was recently restored by Bradford and I’m looking forward to my association with this company.